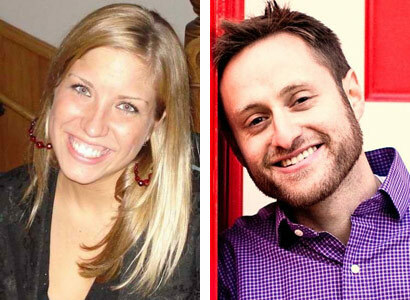 Laura Meili and Alex Seeskin are Chicago Public Schools teachers and Teach Plus Policy Fellows. Meili teaches middle school English at Mollison Elementary School. Seeskin is the English Department Chair at Lake View High School and is a National Board Certified Teacher. Teachers have all attended bad professional development. Your principal tells you a sub will cover your class the next day because she is sending you to a workshop described only by a five-letter acronym. You go to the district’s online PD catalogue, CPS University, where it takes you half of your prep period to sign up. When you arrive, you spend an hour playing get-to-know-you games before you realize that the session is meant for beginning teachers–but you are entering your eighth year. You sit in the back, and your mind wanders to all the things you could be doing with this time: planning for next quarter, analyzing data from your latest assessment, or finding ways to reach a group of English language learners who are struggling despite your best efforts. You wish this PD would address those things. You leave with a book, binder, and t-shirt, but with no understanding of how to improve your practice. Unfortunately, this type of dispiriting professional development is all too common and its impact is doubly devastating. Not only do teachers miss a chance for professional growth, but students lose critical instructional time with their teacher. However, high-quality professional development is critical to teachers’ long-term effectiveness. A teacher’s work is dynamic: Students and responsibilities change, new research is conducted, and more rigorous standards are adopted. PD needs to be reformed, not eliminated. As teachers, we welcome any proven changes that will benefit our students, but we need support. We need strategies to engage students, data to monitor their learning, and new methods to help them meet demands of the 21st Century. And sometimes, all we need are a few ways to get our students to sit down and listen! Protect professional development time from administrative tasks. Time reserved for professional development needs to be protected to maintain the focus on teacher learning. Currently, many schools use portions of full-day PD to hold all-staff administrative meetings, to give teachers time to catch up on grading or classroom work, or to train teachers on a variety of administrative programs. While all of these activities are necessary, meetings, grading, and trainings are not professional development, and should not be labeled as such. Schools need to find ways to communicate logistical information to teachers in more efficient ways (for example, online communication such as email or webinars, or before- or after-school meetings) and ensure that professional development days are not co-opted by anything except high-quality learning for teachers. Differentiate professional development by content, expertise, and delivery method. Teachers have different strengths and weaknesses. A first-year teacher who has problems controlling his classroom needs different professional development than a 12th-year teacher who is fine-tuning her approach to support vocabulary acquisition for ELL students. One way to create more differentiation is to give teachers with excellent or superior ratings on the new evaluation system more autonomy to choose PD offerings to best suit their individual needs. However, this choice is only significant if the PD offerings are diverse and clearly connected to classroom practice. Professional development should be aligned with the new observation rubric, and there should be several options for each strand. Further, CPS should use the power of technology to afford teachers greater flexibility in their PD offerings, perhaps by creating online communities for teachers to share questions and suggestions with their peers or by building a bank of classroom videos so they can watch specific techniques in action. Finally, PD should be realized as an opportunity to create dialogue between public and high-performing charter schools to share techniques that will benefit all of Chicago’s students. CPS University, the district’s online professional development headquarters, has serious problems. Searching for specific classes is cumbersome, the descriptions of the classes and providers are often unclear, and the site design is dated. Small changes to CPSU could greatly increase its productivity. For example, labeling classes according to content or level of experience (like college courses) would make it much easier to find relevant PD. Ratings and post-survey feedback should be made public, essentially turning CPS University into something akin to yelp.com. In addition to directing teachers to PD that would best meet their individual need, the site would also give teachers a voice in supporting high-quality PD offerings while deterring them from courses that others haven’t found beneficial. Cultivate teacher leadership and collaboration. Often, it is teacher-leaders in a school who can most effectively diagnose and address teacher needs. CPS and CTU should identify, train, and nurture a class of school-based teacher-leaders–who have consistently earned high evaluation scores–to lead professional development in each school. These leaders should be given the guidance to identify their school’s particular areas of need, research effective solutions, and create systems of communication and trust among their colleagues. They should work cooperatively with their principals and collaborate with teacher-leaders from other schools. Finally, they should be compensated monetarily or with a reduced teaching load in exchange for their leadership. Establish professional development using an ongoing cohort model. The Consortium on Chicago School Research defines effective PD as a blend of quality pedagogy, exposure to content and frequent participation over time. Unfortunately, a majority of our professional development opportunities are “one-and-done,” standing in stark contrast to the recommendations of research. We need more professional development options that are continuous and cohort-based, allowing the same groups of teachers to meet regularly throughout the year in a professional learning community. In a learning community, teachers build relationships as they learn together, try what they’ve learned in their classrooms, and bring it back to their peers to share experiences, reflect, and recalibrate. We believe that while PD can be complicated and expensive, it is an essential component of improving teacher practice. We think the suggestions we have outlined will enable teachers to connect innovative strategies and new research into their classroom, thereby ensuring that professional development can succeed in the way that matters the most – raising student achievement. With limited time and resources, many teachers say it’s harder to get access to good PD during the school year. That’s why educators have to be creative to find and take advantage of opportunities, by applying for them over the summer and sharing with colleagues who don’t get to attend. Without fanfare, CPS board members recently approved a three-year, no-bid $20 million contract to provide extensive professional development for principals and network chiefs in what is being dubbed the Chicago Leadership Academy.